For 2019, gone are the circles and squares. Bring on the ovals, pears, and cushion diamonds! As celebrities were seen donning these rings in 2018, the look seeped into the public consciousness. Knowing would-be suitors would want to purchase rings that match a lady’s favorite celebrity, jewelers have responded in kind. Simplicity has reigned for a long time, but now that it’s become commonplace, people are looking for something different. Translation: intricate gallery detailing! Hidden touches, unique flairs, or little surprises as a ring is examined. This year, “rings that are as unique as she is” will dominate. 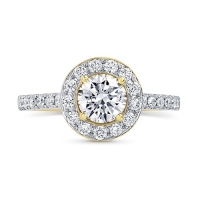 A three-stone ring has a center gem and two diamonds or gemstones on each side. Traditionally, this is meant to represent a couple’s past, present, and future. Thanks to Meghan Markle and Prince Harry, who showcased this type of ring last year, we expect this ring to gain a lot of traction in 2019. Not only that, it will coalesce with the desire for fancy shapes to provide some truly unique and surprising ideas. 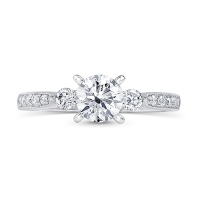 Three-stone rings also tend to look gorgeous with thin bands, so expect thinner bands to take off not only with three-stone configurations, but across engagement rings overall to some extent. 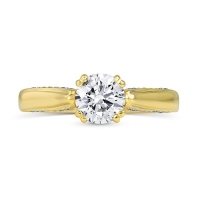 A lustrous yellow gold blends beautifully with diamonds as well as colorful gemstones, and looks beautiful regardless of the setting. Another trend set by Meghan Markle’s ring, yellow gold will be everywhere in 2019. True, halos are always in fashion. But in 2019, these often-intricate ornaments will become increasingly popular due to the desire for detailing. Often available in a variety of shapes, it also appeals to the desire to break out of the square and circle box. 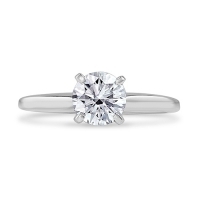 An asymmetric design might sound totally bonkers when it comes to engagement rings, which tend to be traditional regardless of tastes. But when it comes to asymmetry, a little bit goes a long way. In 2019, we predict a lot of couples looking to find something unique will settle on an asymmetric design to provide that little bit of unique flair. 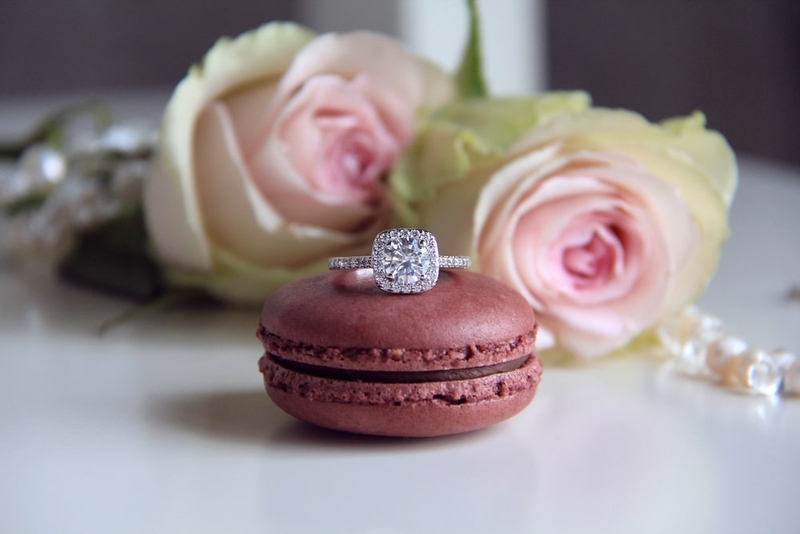 Lab-grown diamonds are gaining a lot of traction, especially with millennials. These diamonds are sustainable, don’t require mining, and have just about no environmental impact. 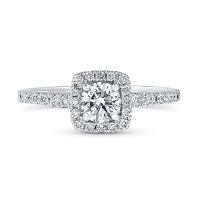 With an exceptional quality of diamond and a feel-good purchase to back it up, consumers will give lab diamonds a big boost in 2019. We expect environmentalists, social rights activists, and newly-engaged ladies to sigh with relief. A big trend in recent year that will surely continue into 2019 is that many couples want to showcase their individuality. Rather than purchase a generic ring from a big-box retailer, they want something completely different. For those couples who want a really different look, stacked and nested rings provide a distinct appearance altogether. 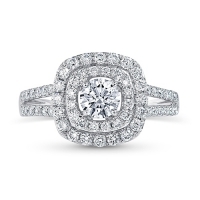 Adding multiple bands is more and more common, and many jewelers are designing individual styles that appear stacked. And there you have it! 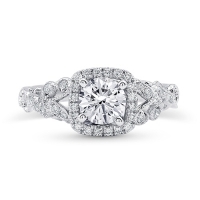 From unique looks to eco-conscious decisions, these are our biggest predictions for engagement ring trends in 2019. 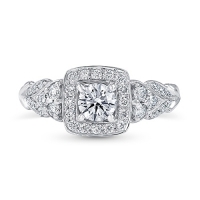 Keep an eye peeled for high-profile rings, and let us know what trends you see springing up!